Our second Living Lab trip of the summer was June 13. 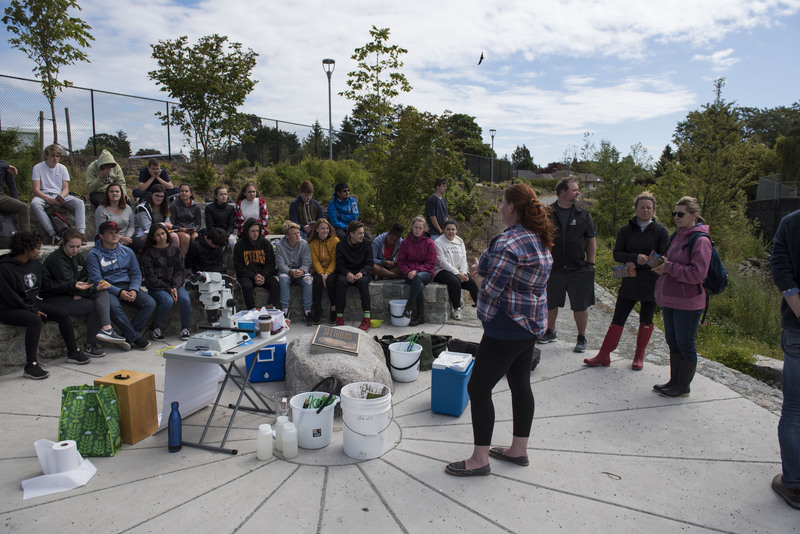 We went to a restored section of Bowker Creek next to Oak Bay High and learned about water testing, stream restoration, and biodiversity sampling. We gathered samples and identified organisms with the help of microscopes. Water quality is an important indicator of ecosystem health. 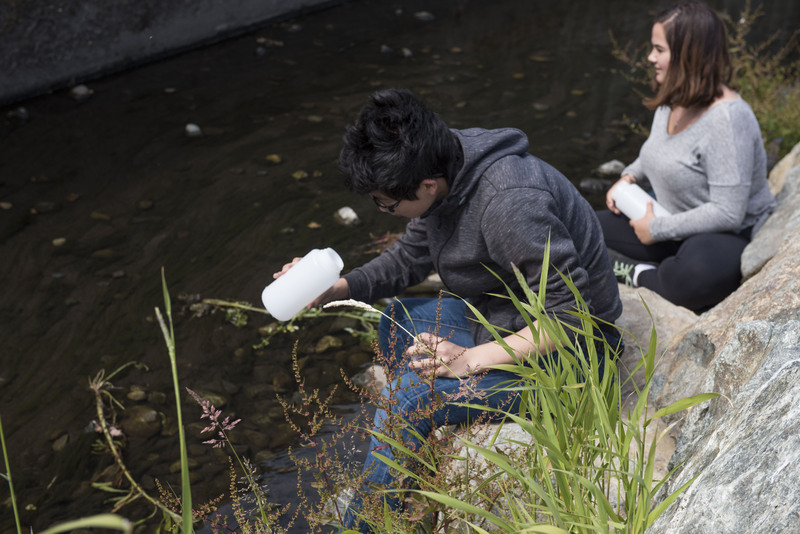 On our trip, students were able to collect water samples from Bowker Creek, and see the impacts of restoration efforts on the stream. 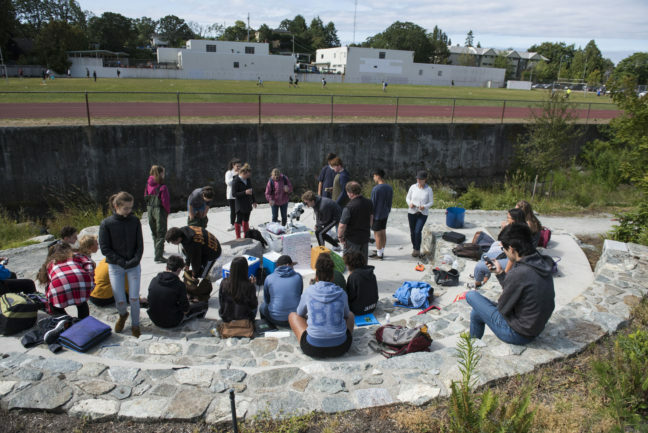 Students also had the opportunity to learn about the rich cultural history of the area, and the importance of maintaining high water quality. 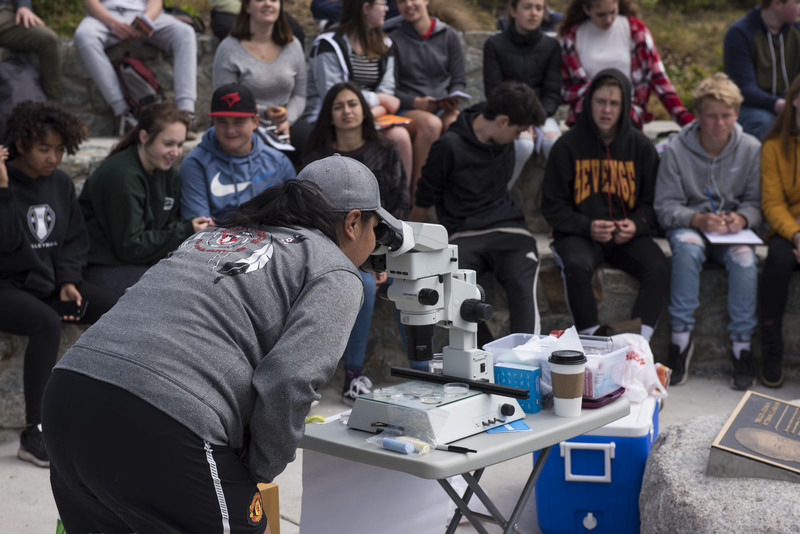 In order to get a better idea of ecosystem health in Bowker Creek, our Living Lab team showed students a number of techniques that can be used.